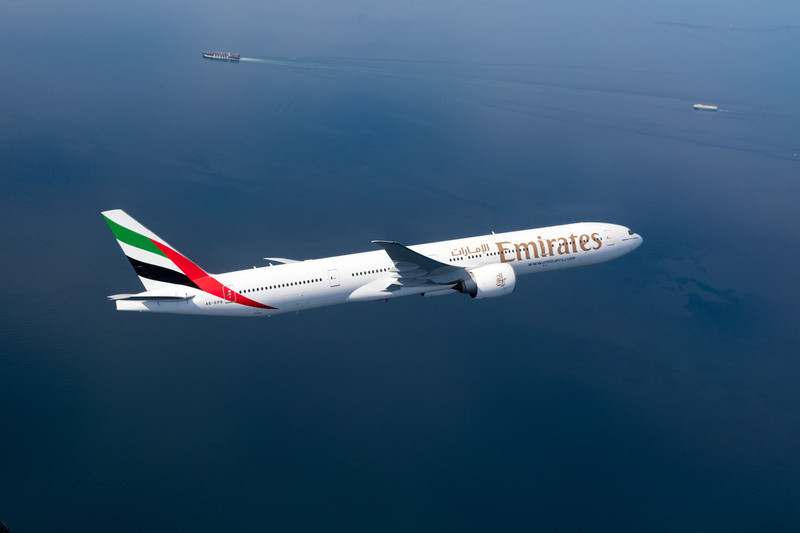 Emirates has upgraded the Abuja route’s operating aircraft to a Boeing 777-300ER from the 777-300 classic. Through the change of aircraft, the EK785 and 786 operate on the Dubai-Abuja-Dubai routes four times in a week. The new aircraft also boasts new innovations in the aviation industry to provide an enhanced flying experience, at 40,000 ft. The B777-300ER is a three-class cabin with 310 seats in Economy Class, 42 seats in Business Class and 8 seats in First Class. Economy Class would feature specially designed and contoured seats in a 3-4-3 configuration with 2-4-2 configuration in the last rows with generous space for passengers and Business Class offers comfortable sleeperette seats which recline to a 78” long lie-flat bed. First Class features the world’s first private suites with privacy screens, massage-enabled leather seats which convert to flat beds include luxurious comfort covers, down pillows and cotton-lined blankets. Passengers travelling in First Class would also find the BYREDO travel wellness range of skincare in their private suites and brand new Bowers & Wilkins Active Noise Cancelling E1 headphones, to amplify the viewing experience on ice. Across the globe, Emirates B777-300ER remains a special aircraft because the airline is the largest B777 operator in the world, and the only airline that operates all 777 types. The Boeing 777 gives Emirates the operational flexibility in terms of capacity and range, to operate non-stop flights to most major destinations around the world Dubai. The B777-300ER is an upgrade to the current aircraft for Abuja, for one it is a larger aircraft – meaning it can accommodate higher passenger capacity in 3 class and 2 class. The aircraft scheduled for Abuja is a 3 class passenger capacity with 360 seats of which 310 is for Economy Class, 42 seats for Business Class and 8 seats for First Class. On-board, customers would enjoy specially created regional menus and a wide range of movies, TV programmes, games and music through ice, Emirates’ multi-award winning in-flight entertainment system, while being served by Emirates’ multi-lingual cabin crew from over 130 nationalities and speak 60 languages. Emirates operates in over 160 destinations across 86 countries. The airline flies from Lagos to Dubai 14 times a week, that is, 2 times daily; and from Abuja to Dubai, it flies four times in a week. Emirates flight EK785 departs Dubai daily at 1050hrs and arrives in Abuja at 1510hrs. The return flight, EK 786 departs Abuja at 1935hrs and arrives in Dubai at 0550hrs the next morning. Emirates commenced Nigerian services on January 2nd 2004 with four flights per week from Dubai to Lagos linked with Accra in Ghana using the A330-200 aircraft. Lagos is the 73rd destination in the Emirates networks worldwide and the 10th in Africa, while Abuja is the 144th destination worldwide and 26th destination in Africa.